Mindy Mejia garnered global acclaim last year with her outstanding rural noir THE LAST ACT OF HATTIE HOFFMAN (the US version was entitled EVERYTHING YOU WANT ME TO BE), which was one of my top reads of 2017. Sometimes after a big hit like that, some authors struggle with their next book, so I was curious about and keen to read LEAVE NO TRACE on several fronts. I needn't have worried; from the first pages, it's clear that Mejia hasn't suffered any sequel swoon. Not that this is a sequel, instead another compelling standalone tale set among rural Minnesota. This is a terrific page-turner, with depth. A one-night kind of read that still has plenty of layers. Ten years after a boy and his father vanish into the forest-rimmed lakes of the wild 'Boundary Waters' near Lake Superior, Lucas Blackthorn reemerges, a wild and violent young man. A ravaged campsite, perhaps evidence of a bear attack, had led most to think Lucas and his father Josiah were dead. Speech therapist Maya Stark is tasked to giving voice to Lucas, and trying to uncover what he's been doing for the last decade. What happened to him and his father, and where is his father now? His violent reintroduction to society sees Lucas become a celebrity patient at Congdon Mental Institution in Duluth, with Maya trying to cajole secrets from him in the very place she was hospitalised herself as a teenager. Lucas isn't the only one with a very troubled past. Two people who suffered as children and have plenty of secrets between them must learn to work together, even as all the rules seem to get in the way. Can Maya bring Lucas out, and what will happen if she does? Mejia keeps a page-whirring pace while threading depth and a real sense of humanity into this tale. It's clear how much she loves the state she calls home, and particular its countryside wilder areas. 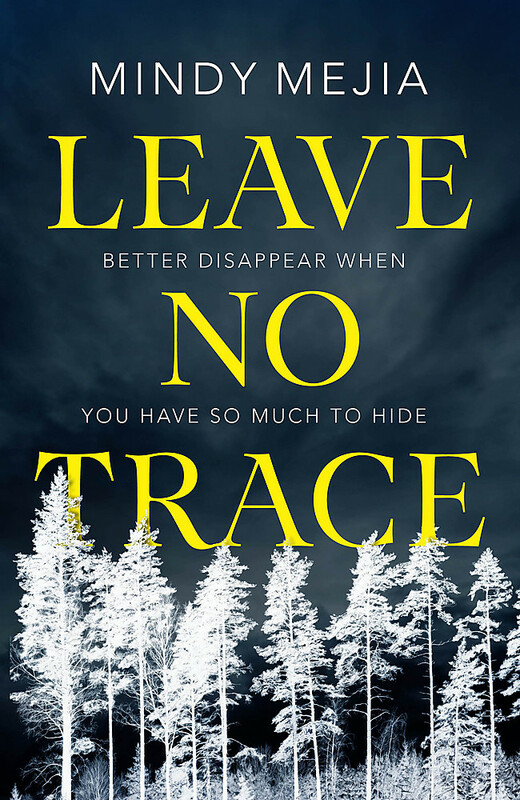 She brings a really strong atmosphere to LEAVE NO TRACE - both in terms of place and the people who populate it. There are fresh turns of phrase and little touches that elevate the prose to a higher level without putting on the handbrake, coupled with keen insights into the messy relationships people can have with others, and themselves. A cracking good read from a talented author.